The Gumboot gets double thumbs up from me. It’s big, it’s unique, it’s well made and you can go inside it! That’s right folks 5/5 stars on accessibility! Oh and it has a cute frog on it!! It’s also a nice tribute to a town with the most annual rainfall in Australia, although some disputes with surrounding towns on that fact. 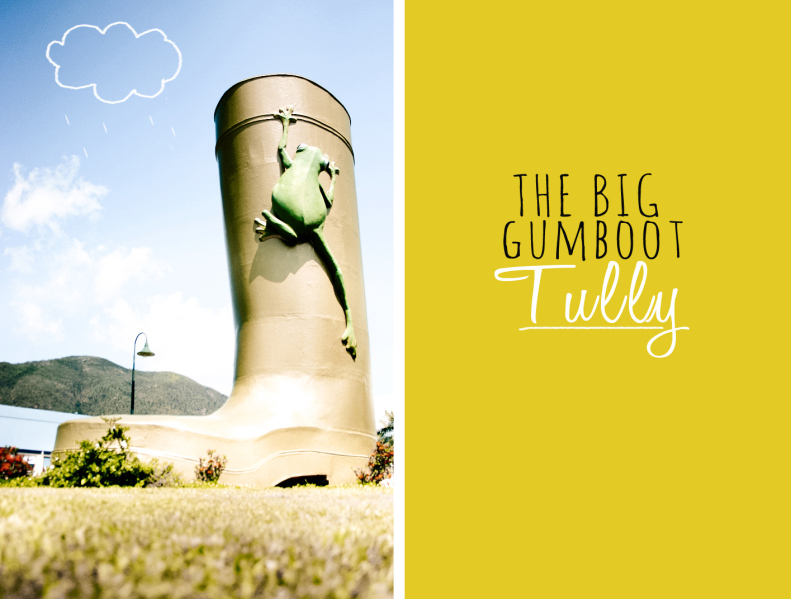 They can’t dispute though that Tully officially holds the record for highest amount of annual rainfall in Australia (of a populated area) of 7.9m in 1950 and it just so happens the gumboot is 7.9m tall - clever! Address: Butler Street (Banyan Park – ‘Tully’s Bus Transit Centre’) Tully You’ll see it as you enter the township from the Bruce Hwy, QLD.